 iAsk x China Daily | You Sold Robust to Become an Investor? Robust, a company brand that seems remote nowadays, created a business miracle 20 years ago. Yet, it was acquired by Danone at its prime time. Boquan He, Founder of Robust, chose to opt out upon acquisition, which turned out shocking to the market. He was once considered a loser outcompeted by capital conspiracy and a victim of foreign investors suppressing national brands. At the age of 29, he started his own business. At 40, he “sold” Robust. In the eyes of outsiders, he was struck by capitalism like a sorrowful hero, opting out with regret, anger, and helplessness. After studying at Harvard for a year as a visiting scholar, Boquan He went back to China secretly and founded Invest Today. At that time, few people noticed him. But when he and Nanyan Zheng, investor and Founder of 7 Days Inn respectively, rang the bell together at NYSE and made the company go public, people realized that Boquan He is back into business. In 1999, 39-year-old Boquan He achieved annual sales of RMB 2 billion at Robust; in 2011, 51-year-old Boquan He was crowned “Forbes China Best Venture Capitalist”; in 2018, 58-year-old Boquan He got interviewed by Gloria Ai, Founder of iAsk. The period between 1992 to 2000 was the most intense eight years of competition between Robust and Wahaha. In the face of the rise of Wahaha, Robust was no longer the absolute hegemon of lactic acid drinks. Distressed from Qinghou Zong’s aggressive moves, Boquan He began to look for help. What was confusing was that, Robust, which introduced foreign capital four years later than Wahaha, handed over 92% of the shares to the French Danone in 2000, along with Boquan He’s power. How hard is it to sell a beloved company? Many people say that Robust is your son, don’t sell it. In my opinion, the company can’t be your own son. It’s too miserable. I think of it as a product, just like water. If I produce a bottle of water and have feelings towards it, do you think I should sell it at 1 cent? I definitely won’t, right? Are you kidding me? You want to buy a bottle of water from me for a cent. But what about 1 yuan? 1.5 yuan? Then I would sell it. But many entrepreneurs refuse to sell their business because they think it’s their son. Right, people wouldn’t sell their real son at any price. But what if it’s a business? If you don’t want to sell it at 1 million yuan, what about 100 million, 1 billion, 10 billion, 100 billion? There will always be a price point where you’re willing to sell. At least 90% of entrepreneurs are willing to sell at a certain price that they think is fair and reasonable. what did you lose from selling Robust? Personally, I prefer to have peace of mind, be happy, and free to do what I want to do. Even when I get down to business, I don’t feel stressed out anymore; I can stay relaxed and handle situations. Therefore, I think quality matters, meaning that both life and work quality need some space. After handing over Robust which he had worked for 12 years, Boquan He seemed to disappear with the name of “Sorrowful Hero”. When he returned to public sights again, he became an investor rather than an entrepreneur under the spotlight of the global capital market – the New York Stock Exchange (NYSE). In 2009, the 7 Days Inn went public in the US. Boquan He attended the opening bell-ringing ceremony as an investor and Co-Chairman of the Board. He did not let go of the market-opening switch for 15 seconds after turning it on at the ceremony. How to stay devoted toinvesting? Boquan He: Firstly, I always invest at very early stages. Secondly, I don’t invest with a large amount. For early-stage investments, I invest in a vast quantity of projects with minimum amount. Thirdly, I never conduct due diligence. I didn’t have any due diligence team either. I usually just casually chat with them. Fourthly, despite that other people judge my “captain’s calls”, I would invest as long as I enjoy the conversation. It might be different from regular investment patterns, but I firmly stick to one principle that I need to stay within the sectors that I’m familiar with. I think we still need to hold onto our strength. It’s indeed true that people have extremely limited knowledge, but it can be vast enough if you can occupy some area in this world. So why not focus on digging deeper instead of expanding wider? If you keep expanding, you might not even gather water on the surface but create a desert. You might as well dig the well deeper. Moreover, you really need to be patient, or else there’s no chance for you to make a fortune. Everyone can see the market opportunity and stares closely at it, yearning to make money, but why can you succeed? If you stick to it, there’s still plenty of opportunities to make money. A year ago, famous financial writer Xiaobo Wu defined “entrepreneurial investors”. He said that in the past two decades, entrepreneurial investors achieved the most prominent and noteworthy new type of success in the global business community, including Jack Ma, Masayoshi Sun, Chuanzhi Liu, Elon Musk etc., who redefined the mission of entrepreneurs in this era. China’s commercial civilization is rapidly evolving from the era of industrial commerce to industrial and financing commerce. An entrepreneur without capital awareness and skills is unqualified and cannot survive the competition of the new era. We have witnessed the appearance of a new type of business person, called “entrepreneurial investors”, with a distinctive amphibious features of entrepreneurs and investors. The entrepreneur character is fond of the real economy, which progresses and develops sustainably; the investor character is dedicated to the “irrational and prosperous” capital market to create more value to their wealth via investment activities. What is the key to successof the two-stage theory ? Boquan He: Is running a business while conducting investment the best option? I’m not sure about that. Based on my own experience, I hope that there should be a boundary to define them. Business is business; investment is investment. Yet, it can be a continuous process, aprocess of stages, or a simultaneous process. Take myself as an example. If Ihad continued running Robust, I wouldn’t have succeeded in investing, because Robust was all I had. In terms of reputation, social standing and wealth, Robust brought me all of those. So most of my energy would be dedicated toward Robust. As for other projects, I would just pay some attention. For me, I stopped running the business.Then I took advantage of the experience I gained from the business, the wealth I accumulated from it and the network I established through it, and learned to invest. Afterwards, I found my own investment style. From thirty to forty, I founded Robust. From forty to fifty, I focused on investing. After fifty, I became more devoted to charity work, my life and my hobbies for the most part.